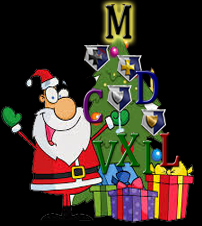 In celebration of the Holidays, we are having a Major Command Medals Extravaganza! Mercenary Medals will be given out for UDOs earned in a Mercenary Game. You get 1 UDO for each unique player you eliminate during the game. You DO NOT have to “win” the game to get a Mercenary UDO. You just need to eliminate another Player! The “winner” of the game will get credit for the game win, the standard UDOs for the Game Map, and a Mercenary UDO for each Player they eliminated, which is not necessarily more than one, only for the number of Players they eliminate. And 6 New Victory Medals! Victory Medals will be awarded based on the number of Games you win. The Mexican-American War Map is Here! Major Command is proud to introduce the first Map in the newest Manifest Destiny Series. The Mexican-American War Map of 1846-1848. It is a well-balanced map with some great features that will keep you challenged for a long time to come! The map includes a US Navy vessel that has a two-way connection with Louisiana, but only allows to risk a one-way attack on Vera Cruz. You can move troops over to Vera Cruz only once after an attack, and then the troops are on their own. There’s no reinforcement, and there’s no going back! The new Mexican American War Map is great. And of course, we have Medals! 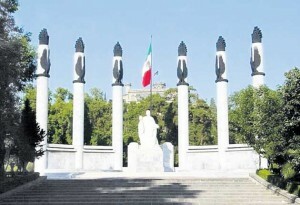 The Image on the medallion is that of the Niños Heroes monument to this war in Chapultepec Park Mexico (image below). Now go and play some strategy games using the new Mexican-American War Map of Risk! As always, we want to say a huge thanks to our talented Map Maker Shepherd! Speed up the game, more Assassin Medals, more Rank Medals for players who have reached Executive General or higher. From now on you would be able to play your favorite risk games at fast loading speed. So anyone who was here last year is aware that this site had seen some troubled times. Most of us remember freezes, crashes, 0-troop bugs, and general unplayability. And to top it all off, we didn’t even get Medals! Now the ultimate goal has always been a complete recode, but patching up the immediate problems has taken time away from reaching that goal. That is about to change. From this point forward, we will no longer focus on daily bug fixing, and we will go full speed forward with the recode. We think we have done as much as we can to make the site as “playable” as it can be under the current code structure, and now we are going to focus on making it totally awesome! No more risk of slow loading games. Speaking of medals, we have more Medals! We are introducing our absolutely gorgeous Assassin Medals! And yes, they will be retroactive, so if you have been slack in playing an assassin, it’s not too late to get your Assassin on! Speaking of Medals. Back in March we introduced Rank Medals for players who have reached Executive General or higher. Those medals were only available to the player who reached that rank recently, however, with this current update, we should also be able to award those Medals retroactively. So if you were a Legion General 2 years ago, hold your hat, a new shiny Rank Medal should be coming your way! The donations drive will be ending shortly. We are close to 100 donors and expect to be there by the end of the month. If not, I will put a deadline of midnight May 31 on it regardless of the count. Which means that next month you should all be expecting extended memberships, exclusive tournament invites, and a new service award on your profile page. But that is not all you should expect, you should all expect great thanks and gratitude knowing that you have all helped fund the last 2 months of fixes and coding. That generous contribution has paved the way for us to not only have a semi-functional site but to also start a new code base and help move forward with some more awesomeness! Thank you all again immensely for all your support! Game Upgrade: Risk game database code improvement, more medals release, new Singles Medals, new Rank Medals, and another important upgrade to the game. This will be an exciting month when it comes to improvements. Besides all the usual maintenance and fixes we constantly do, We have two new and one exciting updates worth mentioning. Marcos has discovered some code that has been unnecessarily using vast amounts of resources. He has proposed a 4 step solution to cleaning up the code and reducing server load. The First stage, and probably the most important, will be dealt with during this upgrade! Yay! 🙂 Further stages to make the code even more efficient will be implemented in future upgrades. Needless to say, I am excited that this resource hog was found and is being fixed! MORE MEDALS! As always, we are adding some more fun stuff. This time, it will be Medals for SINGLES and higher RANK Medals! Remember to check the Wiki for qualification and to see what you might be missing. We have 2563 new Singles medals ready to hand out. Will you be one of the lucky skilled players to get one? Check your RECON TAB after the update! We also have new Rank Medals to complete the higher end ranks! Note to all troopers (players): The Ranks Medals will only be retroactively awarded for the Highest Score you achieved since October 17, 2014, we did not keep track of High Scores prior to that date. However, we think we found a way to determine your highest score prior to October 2014, but that algorithm won’t be in place until the next update, at which time we plan on awarding these medals again for players that missed out this time. If you did not receive a new Medal during this update because your highest score was achieved before October last year, then just hold on for another month. If you did not receive a new Rank Medal because your score was never high enough, then go back and fight harder! Check out all war medals available at Major Command Risk game: Wiki list of rank medals and achievements. There is one more thing to add. Because there will be some major code restructuring this time, there is a HIGHER THAN NORMAL chance that something will BREAK when we go back online, or shortly thereafter. But Marcos will be watching carefully and will repair problems as they occur. So just be aware of this when you wake up and something doesn’t work, we’re on it. Fingers crossed everything will go smoothly, but it’s impossible to tell! We are planning another very important Risk game database upgrade. To avoid the risk of gameplay breakdowns this time, all the fixes will be happening behind the scenes and will not be noticed by players, except in the address bar after the game database upgrade. 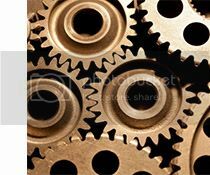 Most improvements will revolve around redistributing the daily tasks so that the server processes don’t all work at the same time. The rest of the update involves the URL structure of the website. There should not be any noticeable difference in gameplay, but it does clean up the code considerably and allows us to integrate better in the future. One significant difference you may notice is a change in our URL structure after the game database upgrade. We have also removed our subdomains, in exchange for a more canonical URLs. This may cause some dead links in our forum and elsewhere in the site, but we will spend the next little while cleaning it all up. As always, we are adding some more fun stuff. This time, it will be Medal for Fivers and Sixers. And they WILL be awarded retroactively!